From the North Shore Traffic Study to new technology in asphalt to more lane miles being paved on Staten Island, it’s been a good year in terms of looking down the road to traffic improvements. Perhaps the news that will have the greatest effect on our road conditions in a long time was the announcement that our ‘Pave, baby, pave” campaign worked and the Mayor agreed to allocate an additional $242.1 million citywide to dramatically increase the amount of paving that could be done. Island this means we will see 125 more lane miles paved in the next two years than otherwise would have been. This investment will make up for the lack of investments in our roads during the last decade and allow us to start seeing a difference. Some major roads were resurfaced in 2015, including New Dorp Lane, Targee Street, Arthur Kill Road, and more. In other resurfacing news, the experiment BP Oddo asked DOT to conduct with asphalt rubber was a success. They have agreed to resurface additional streets with this product next year and continue to monitor its performance. BP Oddo spent much of 2015 convincing city agencies to conduct a North Shore traffic study BEFORE the NY Wheel and Empire Outlets open. ​longstanding transportation challenges, as well as the challenges and opportunities anticipated in the near future. The consultant will propose short-, mid- and long-term strategies. 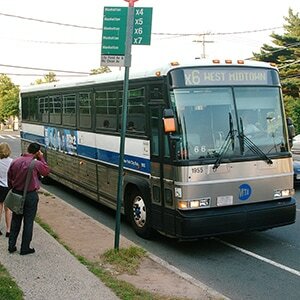 ​As a direct result of the two Bus Summits hosted by Borough President Oddo in 2015, the Staten Island Comprehensive Bus Study is currently underway. It is examining all NYC Transit bus service on Staten Island and will possibly lead to changes in existing routes, and a marked overall improvement in the drive-time and the quality of bus service. The study will identify shifting travel trends, route inefficiencies, and emerging markets on Staten Island and will lead to an overhaul of routes and increase in service where needed based on actual 2015/2016 ridership. All this will be done with unprecedented customer input. In addition to public workshops, MTA New York City Transit employees will also get input from bus customers at bus stops and on buses themselves. The goal is to include as many Staten Island bus riders as possible, and this can be accomplished by providing them with various opportunities to participate over several phases of the study. The study is expected to be completed in early 2016. Easily implementable recommendations can be put into action while the study is ongoing, while longer term recommendations may require additional planning and resources to fully implement. Beyond routing, MTA NYC Transit will also study customer satisfaction with the environment inside the buses, at bus stops and transferring between buses. 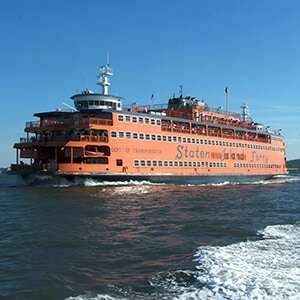 Another victory for Staten Islanders: 24/7 every half hour ferry service. “The days of hour-long waits for a Staten Island Ferry are now over,” BP Oddo said. “I fought to pass this legislation to accomplish increased service two years ago and the law (Local Law 88) is now fully in effect.” The first phase of Local Law 88 went into effect in 2014, increasing service on the weekends. The final phases went into effect in 2015. In addition, the MTA stepped up and aligned both train and bus services with the new timetable. ​The most significant impact is the overnight service every 30 minutes from both Whitehall and St. George, resulting in new, early-morning trips to weekday service, between 1 a.m. and 5 a.m. from each terminal, and additional departures on weekends, between 3 a.m. and 6 a.m. Thirty-minute service will also be provided during holidays. Not coincidentally, with all the new service improvements, ferry ridership is up, hitting nearly 22 million annually. 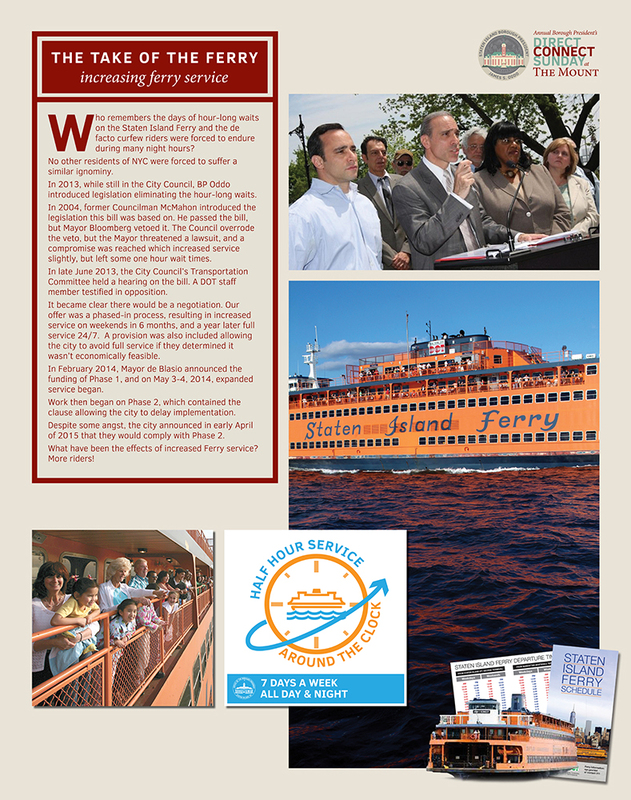 Fast Ferry is not a new concept, it’s something we’ve talked about as a borough for years. Providing a fast ferry to midtown is badly needed on Staten Island and BP Oddo realizes there is more than one way to move this along. Location, including sufficient parking, frequency and price point are key factors in success of any fast ferry for our South Shore, it all starts with finding a suitable location. This is something we have been doing on our end as well as engaging mayors from the neighboring New jersey towns of Perth Amboy and South Amboy to ensure enough ridership to make this a feasible solution for South Shore commuters. 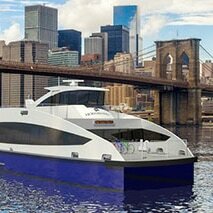 Inexplicably, Staten Island is NOT included in Phase 1 of the City’s 5 Boro Fast Ferry Plan. To correct this wrong, BP Oddo wrote a letter to Deputy Mayor Alicia Glen proposing the inclusion of St. George on the South Brooklyn route, which connects the Bay Ridge, the Brooklyn Army Terminal, Red Hook, and DUMBO with Pier 11 in Manhattan. “Let’s be clear, the ideal is a new fast ferry situated that in such a way that the route would improve the commutes of the largest number of Staten Islanders. We have fought for that… and still it’s not coming in 2017. Or 2018. The City can’t tell you when it’s coming, but what do know a South Brooklyn route is coming in 2017. It makes sense to use it to help some, admittedly some, Staten Islanders. As of 2018, Staten Island and the Bronx are currently the only two boroughs without Citi Bike. BP Oddo has met with Citi Bike and other bike share companies and at his urging and the urging of transportation alternatives advocates, the Department of Transportation instituted a bike share pilot program in July, 2018 which has been expanded. The pilot program currently uses JUMP bikes and Lyme bikes - which can easily be unlocked by an app on your smartphone. Currently, the pilot includes the North Shore Corridor around the St. George Ferry Terminal just passed Snug harbor Cultural Center and along Bay Street to the South Beach boardwalk. Bike users are asked to park the bikes responsibly, and when finished, anchor where appropriate. The bikes are routinely charged (most are pedal assisted) and redistributed throughout the approved area. A map is available on their apps. On Staten Island, we see people using the bikes as a "last mile alternative" to finish their commutes home. We also see other using them for leisure and visitors using them to access points along the North Shore. We are hopeful that the program will continue to be successful and grow in the near future.